"Dog health insurance policies are low in monthly cost and protect you and your pet against unexpected illnesses and the upfront payment requirements of many veterinarians. Insurance is important, as the cost of pet medical procedures increases as treatments now often include many of the expensive techniques used on humans." Everyone knows how expensive vet bills can be. Dog medical insurance policies can help defray some of that cost. It's important to be careful, though, to select the right policy for you. Otherwise, you'll end up paying even more than before. The cost of canine health insurance is based on where you live (vet bills are higher in New York City than in Lexington, Kentucky), what breed of dog you have (some are more susceptible to certain illnesses than others), how old your dog is, and a host of other factors. A ballpark figure is around $20 per month, but it can vary widely depending on the policy you choose. You pay a monthly fee, and you may have a deductible before your insurance policy kicks in. Then the dog health insurance policies typically pay a percentage of the total vet bills, usually 80%. You are responsible for the remaining 20%. When comparing canine health insurance policies, look at the deductibles. If you have to pay a high deductible, then the plan won't save you much money. Look for a policy that allows you to see the veterinarian of your choice rather than one that restricts you to a network of specific vets. You'll also want to be able to see a specialist or receive emergency care when needed. Many plans offer discounts for multiple pets. If you have more than one dog or a cat, look for a plan that offers such a discount. Some policies cover wellness visits and some don't. Wellness visits include things like annual check ups, vaccinations, spaying and neutering, and teeth cleaning. You'll pay more for a plan that covers wellness visits, and it may not be worth the extra money. Do the math before deciding to buy a wellness plan. Most dog health insurance policies exclude dental care, with the exception of dental care resulting from an accident or emergency. This is similar to medical insurance plans people typically have. Pre-existing conditions are usually not covered. Certain things such as pregnancy/breeding and burial/cremation may or may not be covered. It's important to read the policy carefully before purchasing to make sure you understand what is and is not covered. These prices represent typical dog medical insurance policies. Compare the quotes you receive against this list. If you are close to these benchmarks then you are getting the cheapest dog health insurance policy with the best set of benefits. This table shows what is typically covered by a dog and cat health insurance policy. This is a very popular plan that is recommended by approximately 90% of veterinarians to their patients. 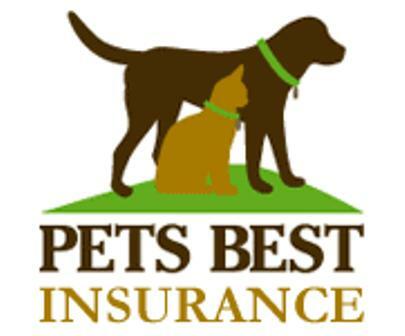 Pets Best Insurance - founded by a veterinarian to help owners afford the care their dog needs. This was the first company to offer pet insurance and has several affordable plans. 24PetWatch - a good company to ask for a comparison quote. Many veterinarians can electronically process claims. Offers discounts for multiple pets. Our advice: Don't rush your decision and have your quotes in hand before making a decision.